Hi lovelies! It feels like ages since I've actually sat down to blog as my last post was prewritten around this time last week. A week may not seem like a long time to some bloggers but to me it definitely is! Last week was a pretty busy week though and an even busier weekend! As you can see, there's been lots of work to be done (more on this will be revealed in the hopefully near future) and lots of other things too! Nothing to do with how busy a week it's been, but how sweet is my little Panda? I adopted a Panda from the WWF website recently and this little guy turned up in the post, I love him! Comment below with a name for him as he doesn't have one yet! On Friday night my twin sister threw a Disney themed party at her house in Canterbury where she goes to Uni, so Darren and I went up there after work on Friday and spent the night and Saturday afternoon there. It was such a fab night and everyone got really into it. If you can't tell, Darren was TJ from Recess (it was pretty warm, so the green jacket didn't last long) and I was Alice in Wonderland. Everyone really dressed up for it which was great, there was even a Queen Elsa! We had a little wander round Canterbury on Saturday too and got to see the Cathedral and go to lots of sweet little shops so that was lovely. As we had to change trains at Stratford, Darren and I couldn't resist popping into Westfield for a quick late night shop before our next train. So, one Fred Perry Shirt, a bag full of Victoria's Secret goodies and an Elsa doll later and we were done! Zero self control. Lastly, I've been getting very much back into beauty therapy again, I've been loving working with Children and studying childcare, but I sort of miss working in salons, so I've been doing as much freelance beauty as I can which has been great. I got a new professional gel lamp and lots of colours and have absolutely loved having gels on my nails again. Currently rocking a french mani, which is one of my favourites for summer time as it goes with absolutely everything and looks gorgeous with a tan! Love the idea of a Disney themed party! 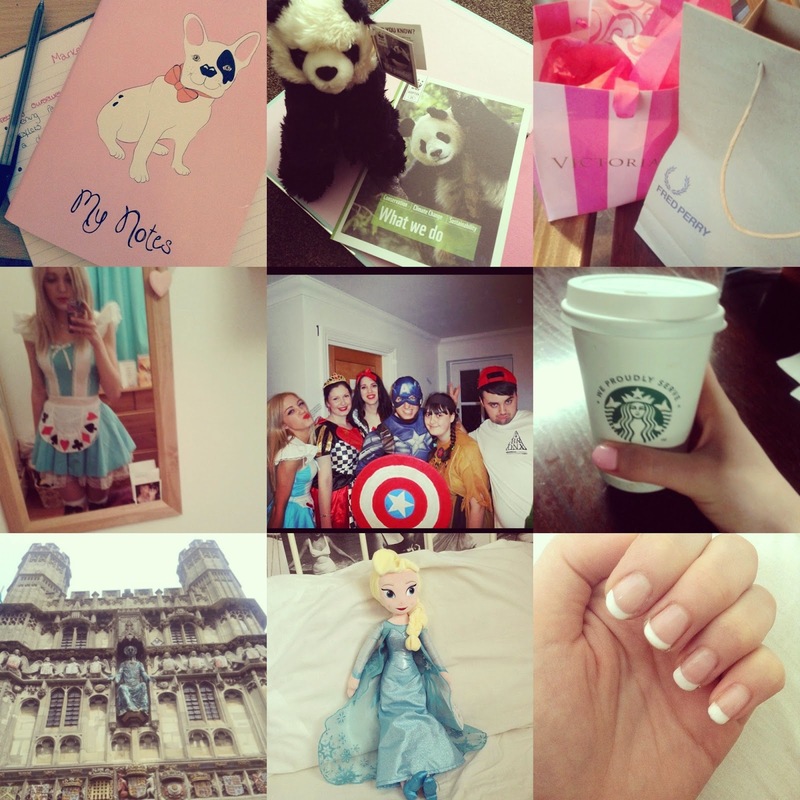 Such a lovely post Chloe :) Love the wee alice costume! OMG I need an Elsa doll!! !